She met resistance from her father when she decided to enlist in the U.S. Army in 1984. “My father said I couldn’t do it because I was a girl,” said Martha Chavez. And that was her motivator. There is a sparkle in her eye as she talks about overcoming obstacles and staying motivated. As a young girl in Mexico, she contracted polio and endured leg braces during part of her life. She persevered and fought off the polio virus. In the Army years later, Chavez injured her knees during a night training exercise. With tracer rounds flying overhead, she scrambled between trees and accidentally fell off a small cliff. Her injuries seemed mild at first. But over the next five years, despite physical therapy and exercise, her legs grew weaker and weaker. The poliovirus she had battled as a child had taken a toll that no one had foreseen, and Chavez started using a wheelchair in 2009. Discouraged, but not down, Chavez’ therapist asked her what sport she’d like to try. “I said ‘hand cycling’ because that was all I knew anything about,” Chavez said. She immediately began conditioning and training. Chavez (left) competing alongside a woman from the Ukraine during a recent Paralympic world ranking event in the Czech Republic. At a sports camp in San Diego a group of people asked if she’d like to try archery, but she declined since she was already hand cycling. But then VA sent her to a Winter Sports Clinic and the Wheelchair Games. There she met the same people who previously asked her to try archery. She declined again, but this time she gave them her contact information. Persistent they contacted her again and invited her to watch the archery competition. And she was really impressed. “It’s always very amiable. If you run into problems, they help you,” said Chavez, who likes the interaction between competitors and teammates. 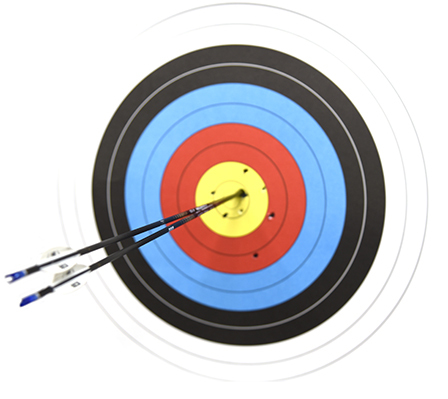 The archery group who convinced Chavez to try the sport are some of the very best. 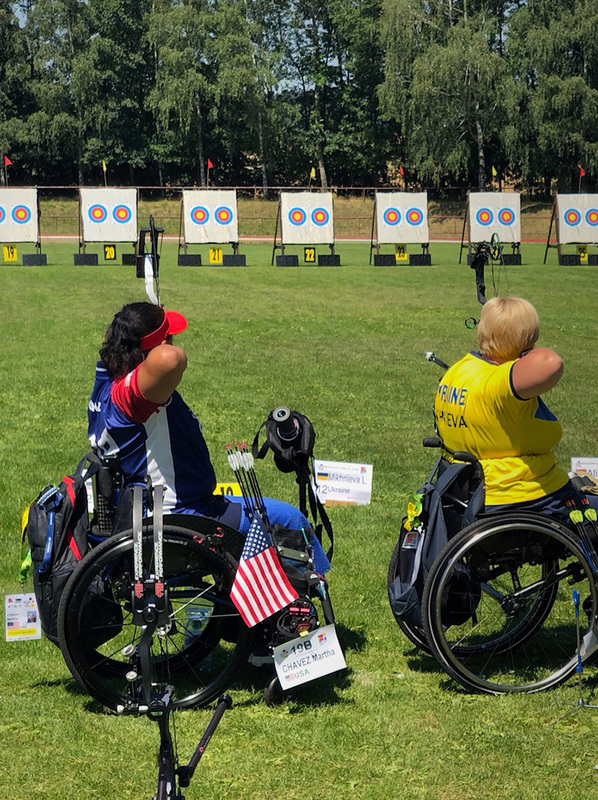 In the group, there is a national team member, a Paralympian and the head coach of the U.S. Paralympic archery team. 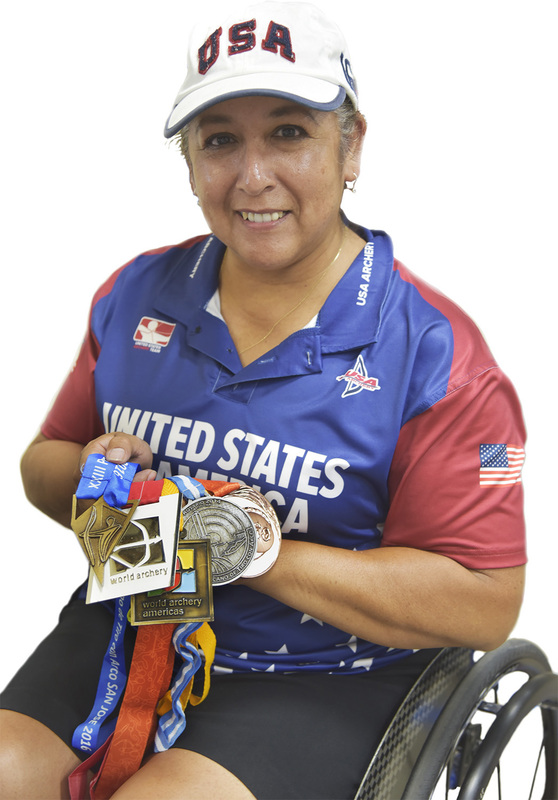 With a former team captain and Paralympian medal winner as her coach and just four months handling a compound bow, Chavez entered her first competition. What she didn’t know was this competition was also the team trials to make the Paralympic team. “I think ignorance played a part – If I had known …” said Chavez, her voice trailing off, making it clear she was glad she didn’t know about the team trials. Free from the team trial pressure, Chavez shot well and made the team. From there she went to Italy for her first international competition and she has been competing ever since. Chavez has traveled to nine countries since 2011 and has earned numerous national and international awards. She has already earned a spot on the 2019 U.S. Paralympic Team. 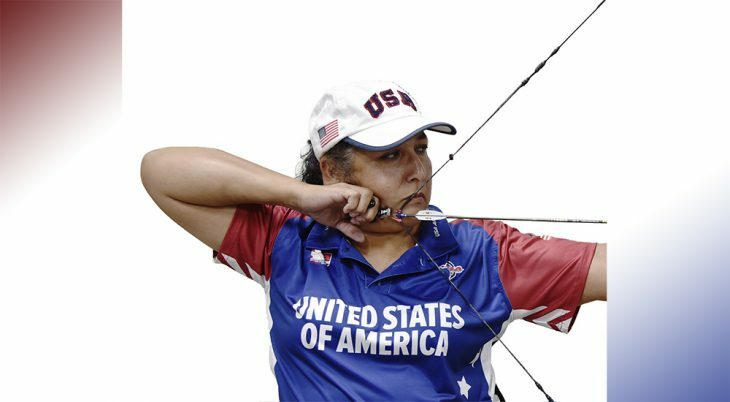 Chavez credits the VA for helping her reach her goals and introducing her, indirectly, to the sport of archery. “The VA played a huge role, pointed me in the right direction,” she said. In a few months, Chavez will be competing in Ohio at the Outdoor Nationals and then in an international event in Colombia. Before that, however, she will be traveling to Chicago to teach and demonstrate archery to fellow Veterans with the Oscar Mike Foundation, a non-profit organization that works to help Veterans participate in sports. “Just that one little step. That’s all it takes,” said Chavez. While in Chicago, Chavez is also planning to go skydiving. Nothing is going to keep her down. About the author: Kristopher Morrow is a VA Project Specialist at the Central California Health Care System. Awesome story. Archery was my first love until I had an accident with an exploding firework while in my left hand. It is very encouraging to read this uplifting story. My son loves archery now and I am so proud that he is much better than I ever was at archery. Thank you. Dave.